Beauty is the expression of wellness that what makes us look and feel special, prized and unique. 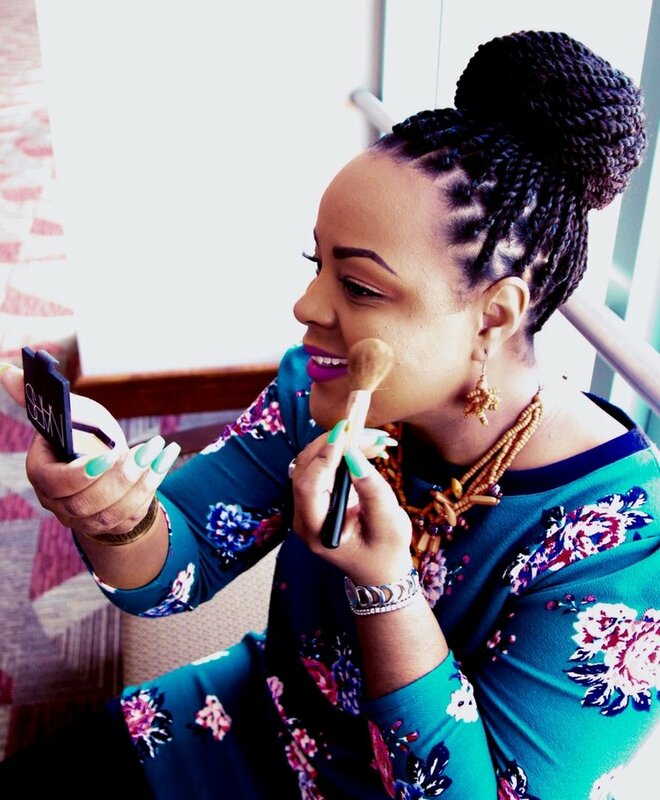 Some people choose to express beauty through fashion or art but Tennille Price, of Beauti by Tennille chooses to express beauty through the education and utilization of makeup. Beauty became a passion in Tennille’s early life. At the age of five, as she was flipping through the pages of a fashion magazine, she noticed all the ladies with pretty paint on their faces. She knew that she wanted to put that same paint on her face. She noticed that they were smiling and figured if you smiled, you must feel happy! Tennille’s love for color and transformation guided her into the profession of a makeup artist and beauty educator. There’s an onset of confidence and power as she enhances the inherent beauty of a woman to educate and empower her to re-create a new look-and-feel from the comfort of her own home with the proper beauty tips, tools, techniques and products needed. o Know that you have a story! o Never compare yourself to anyone. o What you see may not always be real. o Identify and celebrate your own successes in life. o The more you celebrate, the more confident you will become. o Confidence will allow you to walk out your own path. o Love who you see when you look in the mirror. Price loves what she does and loves the industry as a whole, because the power of makeup is real and life changing. It is a gift she wholeheartedly desires to give and teach to others. “I realized the power of makeup and how it can transform your mood in a positive way. When I apply makeup to a woman and she looks in the mirror, she immediately lights up! There is something unique and special about each of us. Therefore, we must show up with our best face forward.” Because we live in an image-conscious society, it is important to remember that there is only ONE of us, and because we are enough, that is always a beautiful thing. 1. Plan your makeup look in advance. Figure out what color foundation, lipstick, eyeshadow, ect you will wear the night before. This will give you more time the next morning to focus on makeup application. 2. Establish a routine. We usually wear the same colors or products each day during the week. This makes things simple and quick. It’s okay to spice things up occasionally as well! 3. Practice good skin care. Cleanse your skin the night before and apply a toner in the morning. It’s important to know what type of skin you have first before you purchase skin care. 4. Keep your brows groomed. Whatever method of hair removal you choose such as waxing, tweezing, threading or microblading, it’s important to have a clean canvas for eyeshadow if you choose to wear it. A groomed brow adds to your overall polished look. 5. Use the right tools. Makeup brushes and beauty sponges are essential. Learn what brushes go where. A blended look is a polished look. 6. Get your foundation color matched by a professional. This step is essential for a flawless look. This can be done in several ways; however, I prefer matching my foundation to my jawline. If the color disappears into my skin, it’s a match. 7. Keep a small makeup bag. Let it consist of face powder and a lipstick/lip gloss in your purse/bag for touch ups on the go.